Gerda Steiner Designs OH MANATEE Clear Stamp Set gsd628 at Simon Says STAMP! gsd628 This item is on reserve until If you would like to reserve this item now, you may purchase it now with the rest of your order. We will hold your order now and ship your entire order as soon as this item is back into stock. If you would like your order to ship now, please place this item on a separate order. 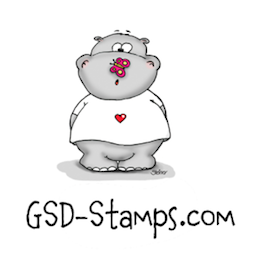 Success, Gerda Steiner Designs OH MANATEE Clear Stamp Set gsd628 has been shared! Need a tea or a coffee? Oh Manatee would share a tea with you or maybe a coffee. Create fun underwater scenes with the waving Manatee and deliver a tea with the gliding manatee. And maybe one of the manatees is enjoying a coffee?